YouthBerry’s Eye Care range provides the building blocks for a healthy vision. The Eye Care range is 100% natural and loaded with essential nutrients that aid in maintaining a 20/20 vision. The Eye Care range also aids in enhancing retinal cell light-sensing capacity and neutralizing light-generated free radicals. Today’s times are hectic. We are continuously on our computer screens, mobile phones and tablets. This often, stresses out our eyes. 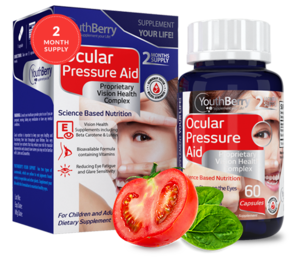 YouthBerry’s Ocular Pressure Aid Eye is a proprietary vision health complex. Its primary idea is to reduce stress on the eyes. Ocular Pressure Aid reduces eye fatigue and glare sensitivity, promotes normal visual function and strengthens eye tissue. 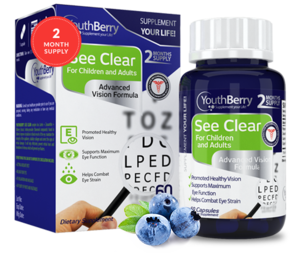 YouthBerry’s See Clear complex is formulated with Lutein + Zeaxanthin + Bilberry Extract Anthocynosides (flavonoid compounds) found in bilberry. They improve circulation in blood vessels of the eye, maintain the integrity of the capillaries, stabilize collagen and correct the signs of retinal damage. It helps effectively to prevent retinal tears and breakdown of vitreous, which will prevent eye floaters. Good nutrition is important to keep your eyes healthy and functioning throughout your lifetime. Two essential eye nutrients that may reduce your risk for macular degeneration and cataracts are: Lutein and Zeaxanthin. YouthBerry’s Vision Support has two types of carotenoids, which are yellow and red pigments found widely in vegetables and other plants. Supplement your life with this formulation to maintain healthy eyes. 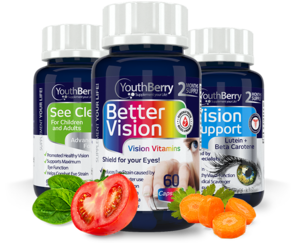 YouthBerry’s Better Vision is an eye vitamin and mineral supplement focused on one single thing- the health of your eyes! Just as your bones need calcium to stay healthy and strong, your eyes have their own set of Nutritional needs. 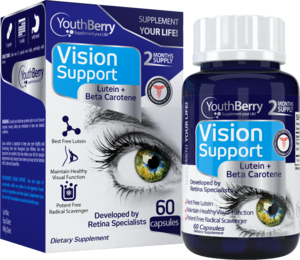 YouthBerry’s Better Vision has a proprietary complex of Lutein + Zeaxanthin + Beta-carotene + Vitamin A, C, D, E + Selenium. These vital nutrients are vital for your eyes. Because healthy eyes are for a healthy vision!